Let us keep your HVAC system working in great shape through our quality maintenance services! Timely maintenance makes all the difference. It will lower your monthly energy bills, catch and take care of any hazards that may be present, and prolong the life of your system. Call R&R Heating and Cooling today to schedule your HVAC maintenance appointment with us! Make your HVAC maintenance appointment with us today! If you’re wondering about the best time to invest in your heating or cooling system, it’s generally best to do so before the weather gets really hot or really cold. If you are concerned about your HVAC’s ability to keep your home comfortably cool or warm and cozy, it’s time to give us a call. We proudly serve Southern California, including Palm Springs, Irvine, Anaheim, and Temecula, as well as nearby cities and communities. Why should you bother with HVAC maintenance? Minimize your energy bills by ensuring the system runs smoothly. Catch safety hazards like carbon monoxide risks that can go unnoticed. Prolong the life of your unit and maintain your warranty. 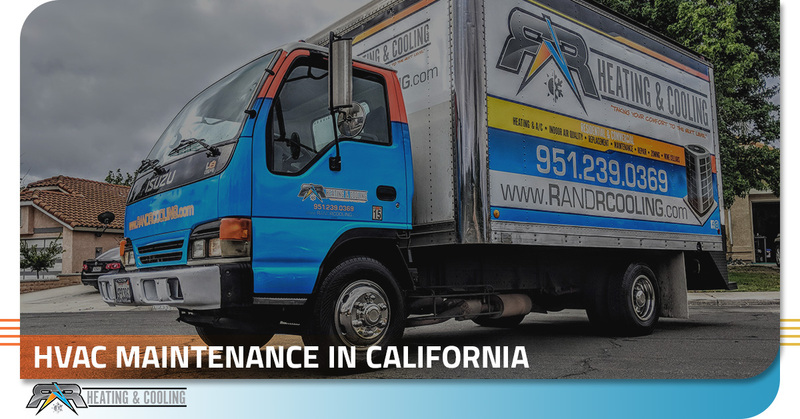 R&R Heating And Cooling serves the greater Southern California region through quality HVAC maintenance, repairs, and installation. Our experiences tells us that a well-maintained system will last our customers longer, saving them a considerable amount of money in the long run. HVAC systems that are not maintained at least once a year often suffer an early death, typically at the most inconvenient times. To get the most out of your system and keep it running smoothly for as long as possible, schedule HVAC maintenance with heating and cooling contractors who know what they’re doing! When is it time to invest in HVAC inspection or repair? Some HVAC systems deteriorate without giving signs, so pay attention to your energy bill, your home temperature, and the last time you had maintenance done. If you’re noticing anything out of the ordinary, or it’s been a long time since a professional had a look at your system, it’s time to get in touch! One of the most common telltale signs that your HVAC system needs maintenance is uneven cooling throughout your home or business. If you or others in your household or business notice unusual cold or hot spots, it’s probably not a ghost! Most likely your vents are blocked, your filter needs changing, your thermostat needs fixing, or other minor tasks need to be done. If you notice that your house or commercial building is not being heated or cooled evenly, contact the Southern California HVAC contractors who can provide you with the maintenance service your system needs to operate efficiently once again. 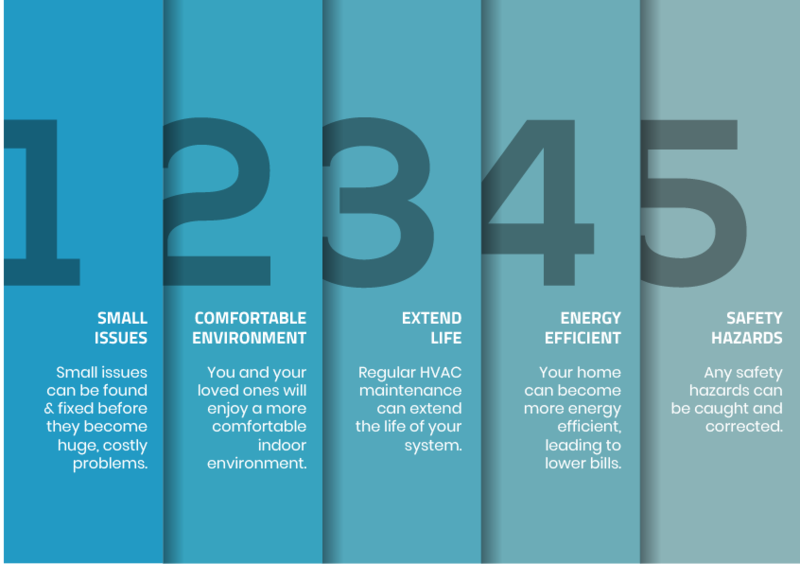 At R&R Heating and Cooling, we understand your and your family’s need for comfortable living spaces. That is why we ensure that the job is done right the first time. We’re also here to make HVAC maintenance affordable, which is why we offer a price-match guarantee with other licensed and insured HVAC technicians in the area. For all your HVAC maintenance needs, reach out to us today! Contact us in Southern California today! 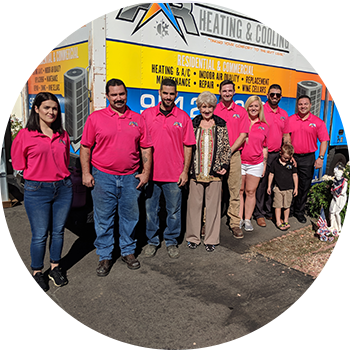 For All Your Heating And Air Conditioning Needs In Southern California, Contact R&R Heating And Cooling At (951) 267-9952 Today!